Our range of products include wide throat screw pumps, helical screw pumps, alekton triple screw pumps, triple screw pumps (series d), triple screw pumps (series c) and triple screw pumps (series a). 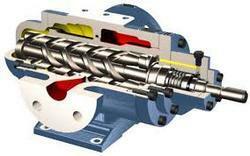 We manufacture and supply a wide range of the finest quality of Wide Throat Screw Pumps. Rendered by us in various specifications, the rendered wide throat screw pumps are appreciated for their high pumping capacity and compact design. By following quality assurance procedures, we assure that the premium quality of the rendered wide throat screw pumps is always maintained at our end. Owing to our industrial experience of this domain, we manufacture and supply the premium quality of Helical Screw Pumps. 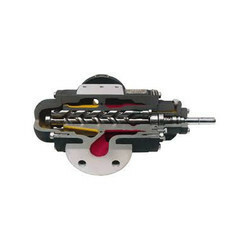 Appreciated for their excellent pumping capacity and rugged construction, the rendered helical screw pumps are used in various fluid or gas pumping applications. 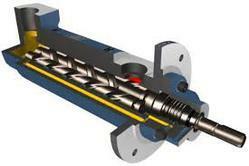 Besides this, the rendered helical screw pumps are rendered by us in user-defined specifications. We are leading distributor and supplier of Alekton Triple Screw Pumps. Alekton pumps are made of premium grade materials for long maintenance-free life under the most arduous operating conditions. The use of a Direct Numerically Controlled (DNC) machine enables the mathematically defined screw profiles to be produced to the high accuracies needed for superior performance and efficiency. Pump designs are extremely versatile and can be altered to suit specific applications for optimal performance. Specially engineered pumps can be supplied as replacements for pumps installed in existing systems. We are looking most of the inquiries from Vidarbha, Chattisgarh And Vidarbha Area Only. 1. Suitable For Clear Viscous Liquids. 2. Wide Range Of Flow And Pressure Available. 3. Vertical And Horizontal Models Available. 4. Inbuilt Pressure Relief Valves. 6. Prompt After Sales, Service And Spares. We are one of the leading manufacturers and suppliers of optimum quality Triple Screw Pumps (Series D). Suitable for pumping viscous fluids, the rendered triple screw pumps are easy to operate and require minimum maintenance. Our clients can avail the triple screw pumps in different sizes and designs, in accordance to the precise needs of our clients. From the first day of our inception, we manufacture and supply the optimum quality of Triple Screw Pumps (Series C). 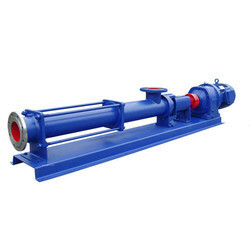 Resistance against extreme temperature & pressure, high flow rate, easy operation, minimum maintenance and rugged construction, makes the triple screw pumps highly demanded. To fabricate the rendered triple screw pumps, we make use of latest technology. As a quality focused name, we manufacture and supply the optimum quality of Triple Screw Pumps (Series A). Ability to tolerate high pressure, trouble-free operation, rugged construction and minimum maintenance, makes the screw pumps highly demanded. Being a quality focused name, we assure that the quality of the triple screw pumps is always maintained. Owing to a redesigned foundation for inconvenience free preparing & after generation, we are involved in offering Triple Screw Pumps For Petrochemical Industry. Offered pumps are generally fabricated with the support of up and coming engineering and premium evaluation segments in normality with the set business measures. Alongside this, our dear customers can get this extent from us in different specialized particulars and at moderate costs. 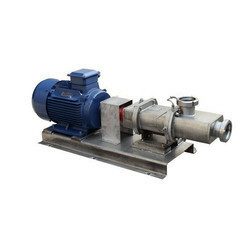 We are one of the leading manufacturers and suppliers of optimum quality of Triple Screw Pumps. Ideal for different fluid or gas pumping applications, the rendered triple screw pumps are designed as per the industry laid norms. The rendered triple screw pumps are known for their ability to tolerate high pressure & temperature. Esteemed as a reliable manufacturer and supplier, we render the best quality of Rotor Screw Pump. High pumping capacity, ability to tolerate high pressure and durable construction, makes the rotor screw pump ideal for different pumping applications. Our clients can avail the rendered rotor screw pump in different sizes and specifications, as per their needs and requirements.